Each individual is created by God with a unique mind, heart, body, and spirit. St. Thomas More Catholic School, in partnership with the home, ministers to our children in developing his/her intellectual, spiritual, social, and physical potential. 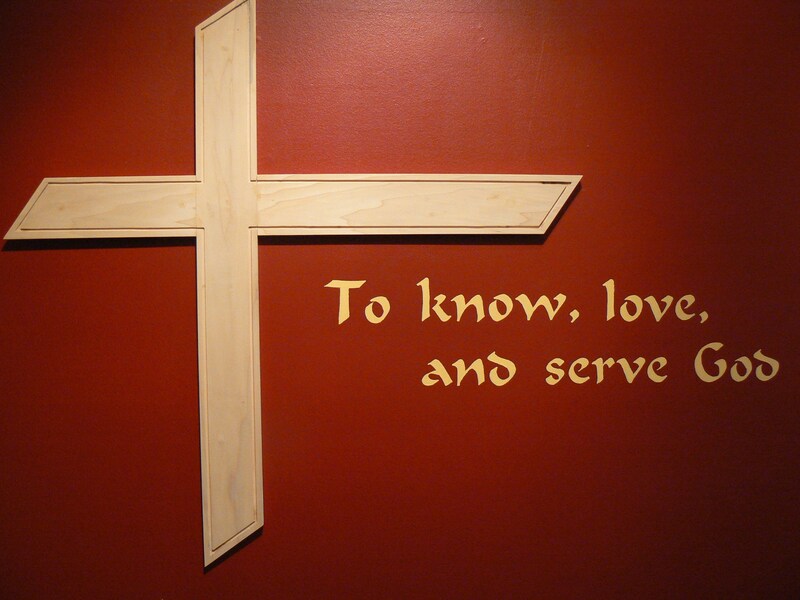 Christ as the servant model guides us to know, love, and serve God. Through traditional education and the use of current technology, we emphasize the importance of acquiring foundational knowledge and critical thinking skills. We integrate citizenship and faith throughout the curriculum to develop responsible stewards who live Gospel values. St. Thomas More Catholic School provides students with a Catholic atmosphere to know, love, and serve God.